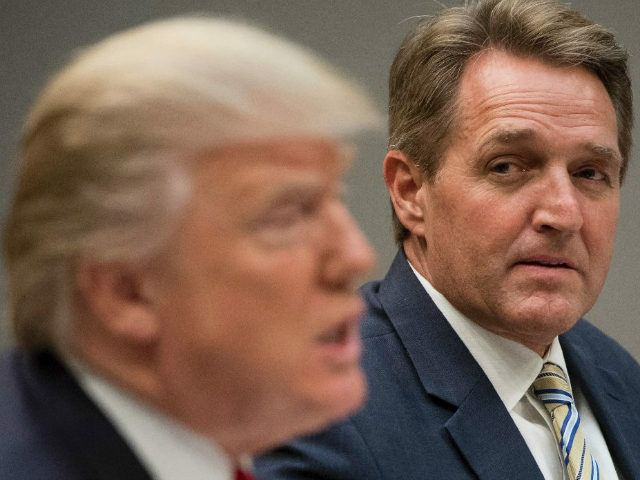 President Donald Trump ridiculed his former Republican Senate critics, predicting at the White House on Wednesday that former Arizona Sen. Jeff Flake will probably end up working for CNN. Trump recalled his former Senate critics after receiving additional criticism in an op-ed written by incoming Utah Sen. Mitt Romney. Flake was a good source for CNN political reporters and repeatedly appeared on the network to criticize the president. Trump ridiculed Flake for writing a book about how Republicans could win presidential elections again. The president also mocked Sen. Bob Corker for initially praising and working with him but eventually criticizing him. “With Mitt, I hope he’s a team player, but if he’s not, that’s okay, too,” Trump said.